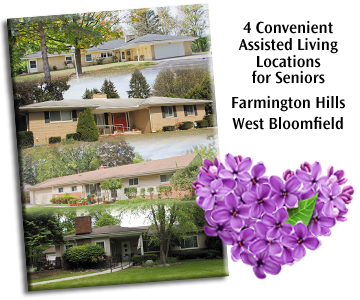 Aleardi's Lilac Inn - A Place to Call Home! People who live at Aleardi’s Lilac Inn are special. They are your mothers and fathers, aunts and uncles, grandparents, friends, and neighbors. Aleardi's has the professional staff and resources to deliver the right care for every type of resident - no matter the age or situation in life. Aleardi’s Lilac Inn offers a unique home-based life-style for seniors who need assistance with activities of daily living, including eating, bathing, dressing and medication management. At Aleardi’s Lilac Inn we take living personally and offer our seniors a variety of options to help them enjoy a full life, on their terms. • National Business Advisory Council. Aleardi's Lilac Inn Offers a Residence and Care for Everyday Living! Click And Watch Our Video Now!